Which Lumia Phone for you? Here's a tip if you are buying a new phone: the first time you power-up with the SIM card installed, immediately switch it to flight mode. Otherwise it will start downloading updates and use all your phone account data in just a couple of minutes. In flight mode, work through the settings for data and wireless. Nokia was bought by Microsoft in September 2013 and they continued to use the Nokia brand on Lumia devices until October 2014, when they began to officially phase out the Nokia name in its promotion and production of smartphones in favor of Microsoft branding. In November 2014, Microsoft announced the first Microsoft (non-Nokia) branded Lumia device, the Microsoft Lumia 535. Lumia 535: If you're after a phone to watch or stream video on the go, you can immediately discount the cheap-as-chips Lumia 535. Not only is the screen abysmal compared with the other Lumias, but the phone has almost no available storage space without a memory card and there's no 4G support to stream media. Lumia 635: If you're struggling for cash, the Lumia 635 will do in a pinch. Although the screen isn't HD and is only a 4-incher, it's still bright and colourful enough to enjoy a spot of telly. You also get 4G support. Lumia 635'a 5-megapixel camera is bog-standard, with no manual focus or LED flash, but it still takes half-decent everyday shots, however, there's no front-facing camera for selfie shots. Lumia 735s: With the Lumia 735 you get a 6.7-megapixel auto-focus camera with LED flash that in most conditions performs well. And a 5-megapixel front-facing camera. Lumia 830: has Nokia's PureView tech, which means sharp, bright photos almost all of the time, even in low light conditions. Camera fans should definitely opt for one of these next two handsets. 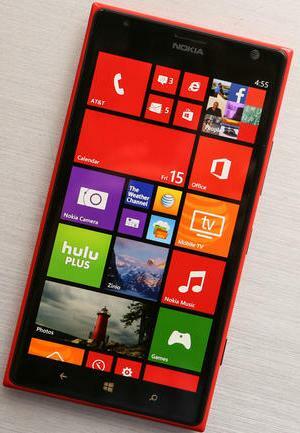 Lumia 930: is the first handset to employ the new SensorCore technology and has Windows Phone 8.1. The PureView tech ensures pictures look great across all-manner of conditions. Lumia 1020: The amazing new Lumia 1020 incorporates a redesigned Optical Image Stabilization (OIS) to support the far larger sensor. The handset uses the biggest Back-side illuminated (BSI) sensor in any consumer device and 6-lens optics from Carl Zeiss Tessar (the most of any smartphone) and a Xenon flash. Lumia 1520: The phone, which essentially is a phablet, offers a whopping 6.0-inch Full HD IPS touch display, the largest ever on a Nokia Lumia phone. Announced in October 2013, it comes with a huge 32GB internal storage. The Lumia 930 is the best Windows Phone yet. It looks as unique as a black slab can, is solidly built and will appeal to those looking for something a bit different. It’s even got an FM radio, which is becoming rarer these days. With the Nokia Lumia 930, you can access a world of apps in the Windows Phone Store.